Recognizing exactly those qualities, a student of Sigmund Freud’s and the only American naval officer to study psychoanalysis in Vienna, Commander Joseph C. Thompson introduced the young L. Ron Hubbard to Freudian theory. Although genuinely fascinated with the possibilities of plumbing the human mind, Ron was left with many unanswered questions. When his father was assigned to the South Pacific as a United States naval commander, Ron embarked upon the first of his famed Asian travels. By the age of 19 he had traveled more than a quarter of a million miles and traversed much of China and India. Through the course of it, he became one of the few Western adventurers to enter forbidden Tibetan lamaseries in the Western Hills of China and study with the last in the line of royal magicians from the court of Kublai Khan. Yet for all the wonders he witnessed, he could not help but conclude the legendary wisdom of the East did nothing to ease suffering and poverty in these overpopulated and underdeveloped lands. Returning to the United States in 1929, Ron resumed his formal education and enrolled in George Washington University the following year. There, he studied mathematics, engineering and attended the first American class on atomic and molecular phenomena. Although not necessarily subjects of choice, such were the disciplines that provided him the investigatory tools with which to pursue outstanding questions of the human mind and life. Indeed, L. Ron Hubbard became the first to bring a scientific methodology to age-old questions of existence. To round out his university days, he also became one of the foremost pioneers of American aviation and a barnstorming sensation across the Midwest. Ultimately, however, and particularly in light of what passed for a “science of the mind” in university psychology labs, he could only conclude that Western academia held no answers. To fund that research through the Great Depression, Ron embarked upon the first leg of a fifty-year literary career. By the mid-1930s he was among the most widely read authors in the fabled heyday of American pulp fiction. He also scripted several memorable screenplays in Hollywood’s Golden Age, and is still remembered for his work on various box office blockbusters and a classic Clark Gable film. But never losing sight of his primary quest, he continued his mainline research with far-flung expeditions to primitive lands. He would eventually study 21 races and cultures while searching out an underlying “common denominator of existence” upon which to build a workable philosophy for the betterment of Man. In early 1938, he isolated that common denominator as Survive! That survival was a key motivation within all living things was not a new idea. That all life was ultimately and only attempting to survive—this was entirely new. Ron originally presented this discovery in a manuscript entitled “Excalibur.” Although he eventually chose not to publish the work as it lacked any actual method for improvement, here nonetheless was the philosophic yardstick with which to align all further research. In recognition of his exploratory achievements through these years, 1940 saw Ron’s admittance to the famed Explorers Club where he stood among the foremost adventurers of his day. Consequently, all subsequent expeditions were carried out under the coveted Explorers Club flag—most immediately a 1940 voyage to Alaska wherein he not only conducted landmark studies of Pacific Coast Indian tribes, but also pioneered a prototypic navigation system employed along all sea and air lanes into the latter decades of the twentieth century. With the advent of the Second World War, Ron entered the United States Navy as a lieutenant. He initially served as a senior American intelligence officer in Australia. Upon his return to the United States (as the first American casualty of South Pacific combat) he went on to serve with distinction in both the North Pacific and Atlantic—commanding antisubmarine corvettes and training crews for amphibious landings. Although highly decorated for duties under fire, he was deeply saddened by the resultant carnage and inhumanity. Thus, he resolved to redouble his efforts to improve the human condition. Accordingly, he continued his research even through the darkest days of 1943 and 1944. Left partially blind and lame from injuries sustained in combat, Lieutenant L. Ron Hubbard was diagnosed as permanently disabled by 1945 and hospitalized in Oakland, California. By this point, however, he had evolved the first practical procedures for alleviating trauma. He tested those procedures on former prisoners of war who, notwithstanding intensive medical treatment, had failed to regain their health. With the employment of early Dianetics techniques to remove “mental blocks” inhibiting response to medicine, all those Ron treated swiftly and remarkably recovered under standard medical care. Utilizing the same procedures, he likewise regained his own health—much to the bafflement of medical examiners. With the restoration of peace, Ron set out to further test the workability of Dianetics among hundreds of individuals from all walks of life. After continued refinement in that “real-world laboratory,” he prepared a paper detailing both underlying theory and techniques. That paper was Dianetics: The Original Thesis. Copies of the manuscript were initially distributed to medical and scientific circles. In no time at all, however, those copies were eagerly recopied and passed on to others, until Ron’s Original Thesis was literally circulating around the world. To meet the veritable flood of inquiries from readers, Ron was next urged to author a definitive text on the subject. 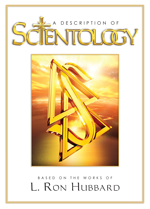 In reply, he began work on Dianetics: The Modern Science of Mental Health the first comprehensive text ever written on the human mind and life. Released May 9, 1950, the work immediately rode the New York Times bestseller list and gave rise to some 750 Dianetics groups from coast to coast. 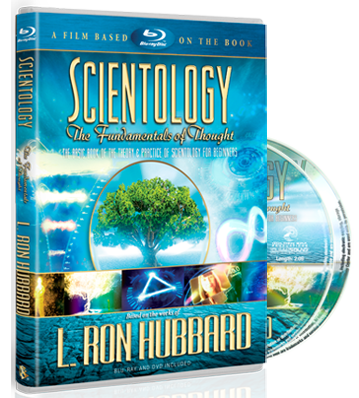 It further inspired the formation of Dianetics Foundations in six American cities to help facilitate Ron’s advancement of the subject. Through the latter 1950s, Ron continued delving ever deeper into the nature and potential of the spirit, while documenting discoveries in recorded lectures, technical issues, articles and books. As the community of Scientologists commensurately swelled, Churches of Scientology opened across the United States, Europe, Australia and South Africa. Accordingly, he both oversaw the worldwide growth of Scientology and worked to codify an exact and standard route along which individuals could ascend to higher states of awareness. L. Ron Hubbard’s procedures for drug rehabilitation are presently employed in some 50 nations. They have proven five times more effective than any similarly aimed program. His program for criminal reform is presently at work in more than 2,000 prisons and penal institutions internationally and has produced an 80 percent reduction in recidivism. His technology for learning and literacy is delivered across better than 74 countries. L. Ron Hubbard’s universally acclaimed moral code and guide to better living, The Way to Happiness, is nonreligious and appeals solely to common sense. It has statistically proven effective in reversing declining moral trends across whole communities, with some 100 million copies distributed in more than 90 languages in over 150 nations. But, of course, the greater story of L. Ron Hubbard can only conclude with his completion of his mainline research. Before his passing in 1986, he fully codified all Dianetics and Scientology materials for application across every level of society and to the utmost spiritual heights. Today, those materials comprise tens of millions of published words, recorded lectures and films. With over 250 million copies of his works in circulation, L. Ron Hubbard has inspired a movement millions strong and spanning all continents.